You like to spend your summer holidays on a relaxing cruise, bathing in the sun and sipping on a fruit cocktail? Then you must have definitely heard of Portsmouth Harbor, from Hampshire, England. It is the ideal location for every tourist, offering many top cruises, among other interesting maritime and local treasures attractions. Some of the most appreciated places by tourists are: Mountbatten Leisure Centre, The Lodge Arts Centre and Stonehenge, that is only 52 miles away. Other nearby attractions are the city of Chichester and the rolling hills of the South Downs. And this just a small number of the many entertaining places that Portsmouth Harbor has to offer. This is why it is highly advisable to spend a day or two before departing on a cruise. Being a very populated area by the great number of travelers that come here every year, a variety of hotels and B&B has been built to fit everyone’s budget and needs. For history lovers, do not hesitate to visit Portsmouth’s interesting museums and other historical heritage. We strongly recommend the Portsmouth Historic Dockyard, The Mary Rose Museum, Blue Reef Aquarium (with beautiful and exotic reefs and aquatic creatures), Charles Dickens Birthplace Museum (childhood and other representative objects and decorations from the famous writer’s life), Spinnaker Tower (a 21st century icon, with floors made of glass that give you the impression of walking on air) and D-Day Museum (items from 1944). For a Heathrow to Portsmouth Harbor Shuttle by rail, you have two options. 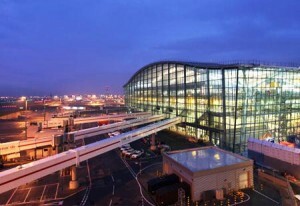 The first would be to take the train from Heathrow Terminal 1 (that arrives every 15 minutes) via Paddington, Baker Street Underground and then London Waterloo (every 30 minutes). The total duration of the journey would take about 2 hours and 7 minutes. The second option is to take the train from Heathrow Central Bus Station (every 30 minutes) via Cromwell Road Bus Station and then Guildford (that arrives every 30 minutes). The journey would take about 3 hours and 20 minutes. A Heathrow to Portsmouth Harbour Shuttle by car can be done by choosing the A3 highway or the M3 one for a long journey. London Heathrow Airport is at a 72.5 miles distance from the Portsmouth Harbor. A Shuttle from Heathrow to Portsmouth Harbour with 247 Heathrow Airport Transfer is going to take about 1 hour and 52 minutes. 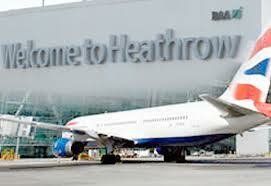 The price for a Heathrow Airport to Portsmouth Harbour Shuttle starts from 98 GBP. – Best value for money Heathrow to Tilbury Port Taxi Transfer.